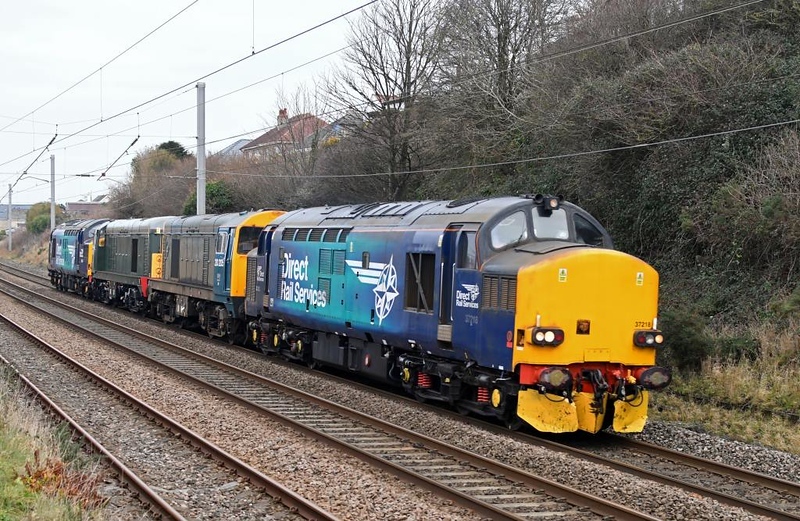 37218, 20205, 20007 & 37059, 0Z20, Hest Bank, Thurs 10 January 2019 1 - 1047. DRS's 0914 Carlisle - Gresty Bridge move. The convoy continued to Derby RTC on the 11th.